The Honeywell heat bud ceramic portable mini heater provides the right amount of heat in a small, portable design. This portable heater uses ceramic heating technology with a 250W output for personal heating. Its compact size is ideal for desktops, nightstands, and tabletop placement. With a single switch control, there are two different heat settings for you to choose from. The cool touch housing keeps this heater safe to touch, and the auto-off tip-over switch will turn off the heater in the event of it being knocked over. Exceeding industry standards, this heater also comes with over-heat safety protections. The Honeywell HCE100 heat bud comes with a 3 year limited warranty. The Honeywell heat bud is the perfect heating solution for small spaces like desks, nightstands, or tabletops! 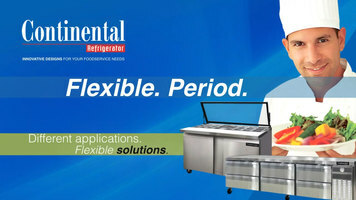 Continental Refrigerator has the Griddle Stands and well as the Sandwich Units to cater to your refrigerator needs. Both units comes with a multitude of benefits, and you can add optional features to the standard model in order to get just the right piece of equipment for your business. 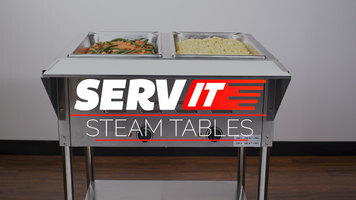 ServIt steam tables are perfect for a wide range of applications. They can be used for both dry and moist heat holding. 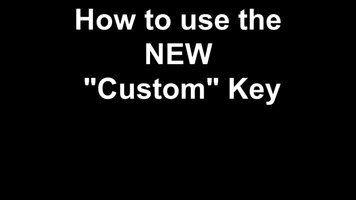 For more information, watch this video!